Our databases where client data and information is held are fully protected from any external attack. All data processing is covered entirely by the 196/2003 Data Privacy Law and in particular the rules on electronic data processing. Your User ID or Pasword is incorrect. Remember: All fields are case sensitive. All data processing is covered entirely by the 2016/679 Data Privacy Law and in particular the rules on electronic data processing. -If you entered a longer password by mistake, try signing in again. -Some users might have chosen a password longer than 8 characters.In the past, the system would have still allowed access to the website, ignoring any characters inserted after the eighth one. A warning message has been added for your safety, to inform you when you insert a longer password. Try signing in again, typing only the first 8 characters of the password that you believe is in use. Learn directly from our experts. Whatever your trading style or experience level, you’ll find a wide range of topics to suit you. For those who are serious about trading. A wider selection of products and services for more experienced traders who meet the access requirements. No minimum deposit required, it’s up to you what you want to invest. Spread o.8 points on CFDs Forex and 1 point on CFDs Indices and Commodities. Invest in domestic and international securities with a flat fee, from a simple multicurrency account. Over 1 million people bank with us for a reason. Our products are made to simplify your life. Use one app for all your banking, investing and trading services. and one of our friendly specialists will contact you. Or simply complete the form and we'll send you a personalised code to join later with the same special offer. We’ll also keep in touch with our latest updates and other offers. This advertising message is for promotional purposes only. To view all the terms and conditions for the advertised services, please refer to the fact sheets and documentation required under current regulations. All services require the client to open a Fineco current account. 1 CFD are excluded from the offer of 100 commission-free trades. Before trading CFDs, please read carefully the Key Information Documents (KIDs) available on the website finecobank.com/uk. 2 No annual fees for the first card for each account holder; £9.95 annual fee for the second card; £2.95 card shipping cost. The ATM provider may charge additional withdrawal fees. Fineco will not charge any fees for transactions or withdrawals made in the currency of your card. With Fineco's EUR Visa Debit Card, your EUR purchases and withdrawals are debited directly on your EUR account, so you have no exchange rate commissions. 4 You only pay the spread. 5 Amount of trading commissions accrued in a month: Up to £499: UK shares and ETFs, Bonds (MOT/EuroMOT - EuroTLX e HI-MTF, Euronext), Fixed fee: £6.95; Europe shares and ETFs (EquiductGermany, Xetra, Equiduct France, Netherlands, Portugal, Euronext, Italy) Fixed fee: €6.95; USA shares and and ETFs (Nyse, Amex, Nasdaq) Fixed fee: $6.95. 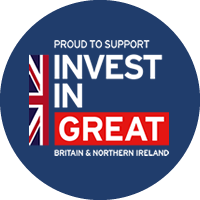 Over £500: UK shares and ETFs, Bonds (MOT/EuroMOT - EuroTLX e HI-MTF, Euronext), Fixed fee: £3.95; Europe shares and ETFs (Equiduct Germany, Xetra, Equiduct France, Netherlands, Portugal, Euronext, Italy) Fixed fee: €3.95; USA and ETFs (Nyse, Amex, Nasdaq) Fixed fee: $3.95. The fees applied on the bond markets are expressed in GBP but charged on the Multicurrency Sub-Account of the settlement currency. For transactions executed on specific markets, you may incur additional taxes or fixed fees related to the single market. See the fact sheets for further details. 3 No. 1 Bank in Europe for online trading (for Executed orders) / The most used platform in Europe – Source: Main European brokers balance sheets 2016 (Comdirect, ConsorsBank). 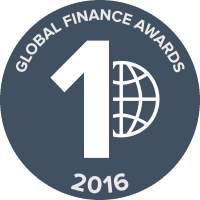 * Best Digital Bank in Italy – Source: Global Finance Award, financial magazine – 2016. 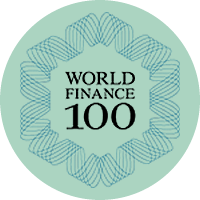 * World Finance 100 Award – Source: The international magazine World Finance 100 positioned Fineco amongst the top 100 corporations of 2015, from a selection of 17 banks at a global level. Congratulations, you have signed up correctly! when opening a Fineco account and receive your 50 commission fee trades. An account with this email address is already registered in our system. Please try again with another email address. Enter your contact information to receive your coupon code and other special deals. form when opening a Fineco account and receive your 100 commission fee trades. Free trades on Equities, Bonds, ETFs. First 3 months only. New customers only. London Forex Show free VIP Entry Pass. Leave your contact information to receive Fineco’s latest updates and other similar offers in the future. Let’s stay in touch! If you don't want to give your consent to the use of your personal data, you can simply close this window by clicking on the "x" icon at the top-right corner. when opening a Fineco account and receive your 100 commission fee trades. free commission trades when you open an account.